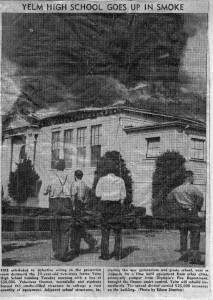 Caption – FIRE attributed ti defective wiring in the projection room destroyed the 24-year-old two-story frame Yelm high school building Tuesday morning with a loss of $to30,000. Volunteer fireman, townsfolks, and students braved the smoke filled structure to salvage a vast quantity of equipment.. Adjacent school structure, including the new gymnasium and grade scool, were in jeopardy for a time until equipment from other cities, principally the pumper from Olympia’s Fire Department, brought the flames under control. Yelm will rebuilding immediately. 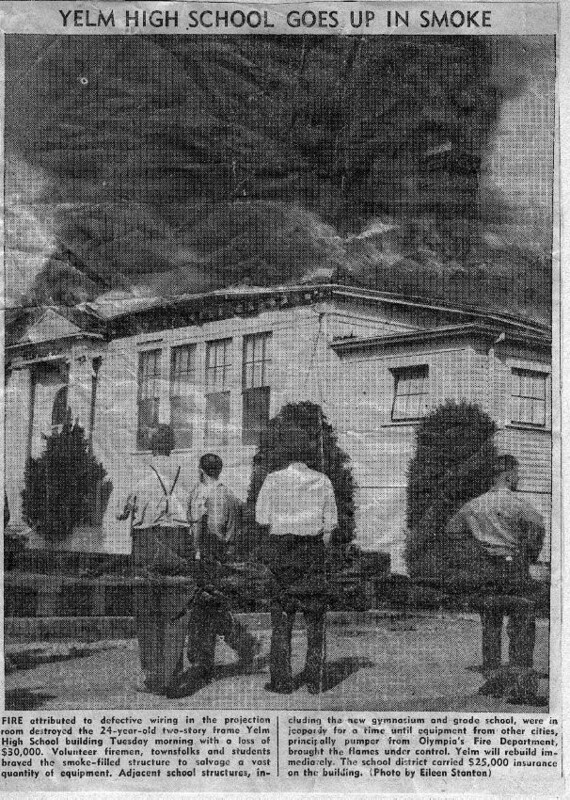 The school district carried $25,000 insurance on the building.